The aim of Eugene Pro Rodeo is to facilitate your purchasing of tickets to your favorite events (concerts, plays, theatres, shows, etc. ), easier, more convenient and pleasant. Eugene Pro Rodeo purchase policies are intended to make sure you understand the process of buying tickets from us on tickets.eugeneprorodeo.com. These Policies & Procedures for Purchase are subject to Eugene Pro Rodeo Terms & Conditions and are incorporated by reference, here in these policies. The ticket you buy from Eugene Pro Rodeo is only a license to attend a specific event you have purchased the ticket for, and such license can be revoked, if any of Eugene Pro Rodeos’ policies, Terms & Conditions, or additional conditions on the tickets and /or any other laws or regulations are violated by You, the purchaser of such ticket. You have a variety of options to pay for the tickets you purchase from tickets.eugeneprorodeo.com. We accept major credit cards including, Visa, Master Card, Discover and American Express. The price of tickets for the events taking place within the United States is in U.S. Dollar. Eugene Pro Rodeo facilitates your purchase of tickets from the organizations and entities i.e. the “event organizers”. Eugene Pro Rodeo solely handles the transactions and collects payments for the tickets sold by the “event organizer”. Therefore, You will be buying your ticket from the “event organizer” while Eugene Pro Rodeo only acts as the provider of sale services for your purchase. If you exchange your tickets or purchase tickets by using Exchange Tickets facility services, you buy tickets from either a reseller who is not an event organizer, or Eugene Pro Rodeo, or the event organizer. Eugene Pro Rodeo is only provider of the services for such sales, unless Eugene Pro Rodeo sells tickets through the Exchange Ticket method. Eugene Pro Rodeo acts as the facilitator for sale of tickets and sells tickets for the benefit of the “event organizers “ including; promoters, providers, bands, performers and the venues. The “event organizers” will set the ticket prices and determine seating arrangements. Eugene Pro Rodeo generally is not involved in determining the tickets prices, nor in the seating arrangements or locations of the sold tickets. Tickets are sold via several distribution centers, including online, information center and retail stores. Eugene Pro Rodeo does not control the inventory of the tickets or their availability. Since there is always the possibility that tickets to favorable events sell out very fast, extra tickets could be foreseen and may be available prior to the event but as stressed earlier, Eugene Pro Rodeo does not control such inventory or its availability. Eugene Pro Rodeo also facilitates the resale of tickets and handles relevant transactions on ExchangeTickets . Please take into consideration the fact that tickets sold through Eugene Pro Rodeo’s ExchangeTicket service are often sold at a higher prices than their original prices. 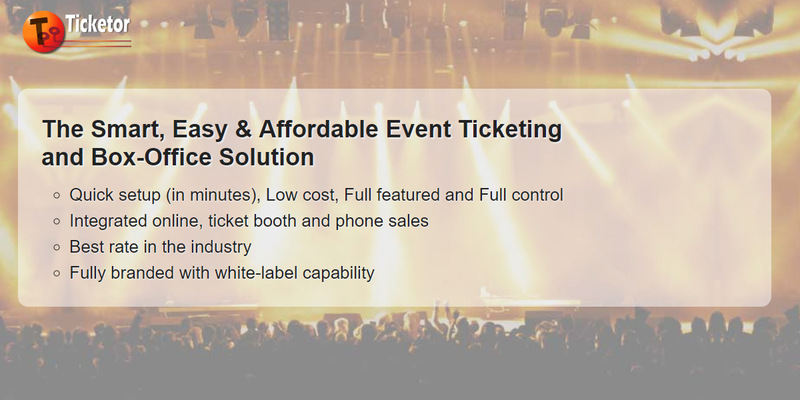 Occasionally, the additional tickets for subsequent distribution may be allocated to, and received by, Eugene Pro Rodeo or other distributors, centers, which may have higher demands or the same status as the tickets sold on Exchange Ticket, or may be put for sale at a lesser price than the price charged on Exchange Ticket. Please note that if after you submitted the required payment information, you do not receive a confirmation number/ letter, or email, it is your responsibility to confirm with your Customer Section, whether or not your requested order has been placed. Eugene Pro Rodeo will not be liable for any pecuniary/monetary and /or any other losses due to your erroneous presumption that your order has not been placed because you did not receive confirmation. When you purchase tickets on tickets.eugeneprorodeo.com, you will be charged a facilitation fee per ticket and a non-refundable processing fee per order. Your tickets may be subject to a delivery cost/fee, if applicable. In order to establish a fair purchasing method and to prevent unfair attempts and practices of buying tickets, there is a limitation on the particular number of the tickets you may purchase for a specific event i.e. the“purchase limit”. The “purchase limit” for each event would be determined by Eugene Pro Rodeo. Please carefully select and purchase your desired event on tickets.eugeneprorodeo.com. You must thoroughly review all information pertinent to the event, including but not limited to the date, time and contents of the programs and event/s, prior to purchasing any tickets on tickets.eugeneprorodeo.com. This is of highly importance since the event organizers prohibit and do not allow us to refund or exchange, after you have purchased the ticket. You also need to safeguard your tickets because the event organizers do not allow any refund or exchange for your lost, stolen, destroyed, torn, obliterated or damaged tickets. Please note that it is your obligation to provide accurate and current billing and credit card information to Eugene Pro Rodeo for a ticket order, including a billing address and other billing information. No ticket order could be processed unless the credit card and billing information is verified. In case of existence of any inaccuracy, discrepancy or mistake in your billing and credit card information, your order may be cancelled by Eugene Pro Rodeo and your tickets may be sold to another consumer without further notice. However, the Consumer Department of Eugene Pro Rodeo will try to contact you through the information you have provided and if Eugene Pro Rodeo not able to contact you, your ticket may be cancelled and sold. Use of Eugene Pro Rodeo’s trade marks and intellectual property is illegal unless Eugene Pro Rodeo has expressly consented in writing. Your tickets will be cancelled or seized, if any attempt is made on your part to unlawfully resell any ticket . Without the written express consent of the event organizer and Eugene Pro Rodeo, no ticket shall be used for the promotional, sweepstakes, or advertising purposes. Eugene Pro Rodeo reserves the right to cancel and refund your ticket when an error occurs with respect to the price, or the time of availability for sale, and/or other relevant matters to the ticket which are announced on tickets.eugeneprorodeo.com caused by a machine or human error, computer malfunctions, and /or other Eugene Pro Rodeo’s operational system and programs. When you purchase ticket through Eugene Pro Rodeo, you expressly agree to be bound by Eugene Pro Rodeo’s Terms and Conditions ( Pls. review Eugene Pro Rodeo’s Term & Conditions, which are herein, incorporated by reference) on your behalf and your children or any minor accompanying you to the event. You further expressly agree to bear and assume all the risks and liabilities pertinent to, and as the result of, the event ( before, during or after the event) that Eugene Pro Rodeo has issued the ticket for.